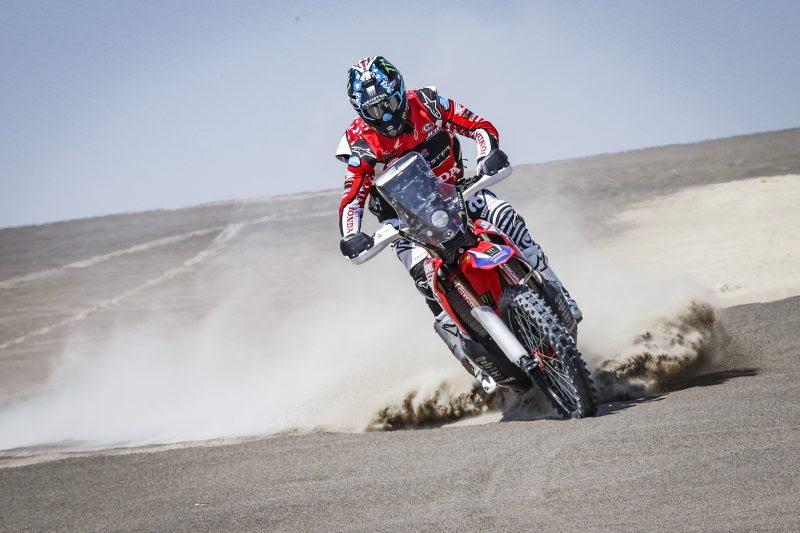 The Morocco Rally, the fifth and final race of the FIM Cross-Country Rallies World Championship, will be held in the African country from 4th to 9th October and will feature the participation of the Monster Energy Honda Team. 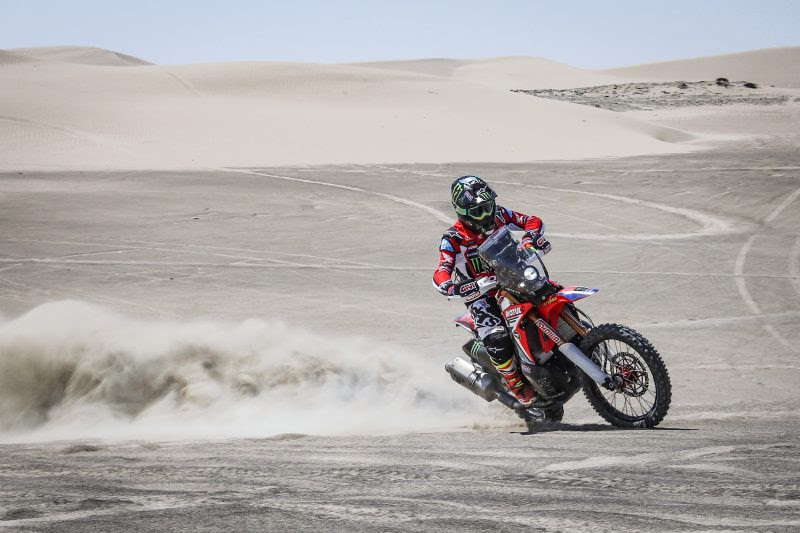 The riders from the Monster Energy Honda Team will, once again, be back in the fray for the final calendar date of the FIM Cross-Country Rallies season, as the campaign crosses the Atlantic to Morocco. Kevin Benavides (Argentina), Paulo Gonçalves (Portugal), Ricky Brabec (U.S.A.) and José Ignacio Cornejo (Chile) are set to line up together for the concluding event. Joan Barreda, meanwhile, will sit out the rally while he goes through the final recovery phase after the wrist operation that he underwent six weeks ago. 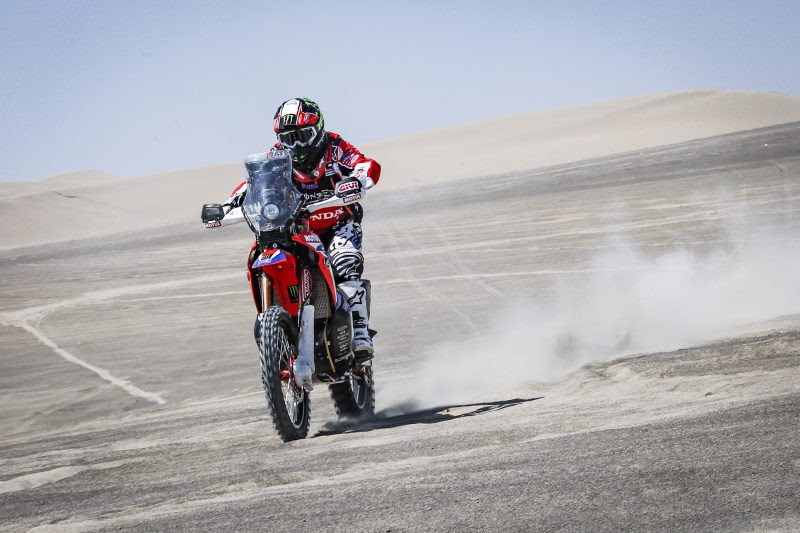 In the overall world championship standings, Paulo Gonçalves currently lies in third position on 57 points, after the string of recent positive results in South America which included a win in Argentina’s Ruta 40. Paulo is just twelve points adrift of the championship leader and will be hoping to improve on his present position with a good result in Morocco. Kevin Benavides, with 53 points, holds fourth place behind his Portuguese stablemate. 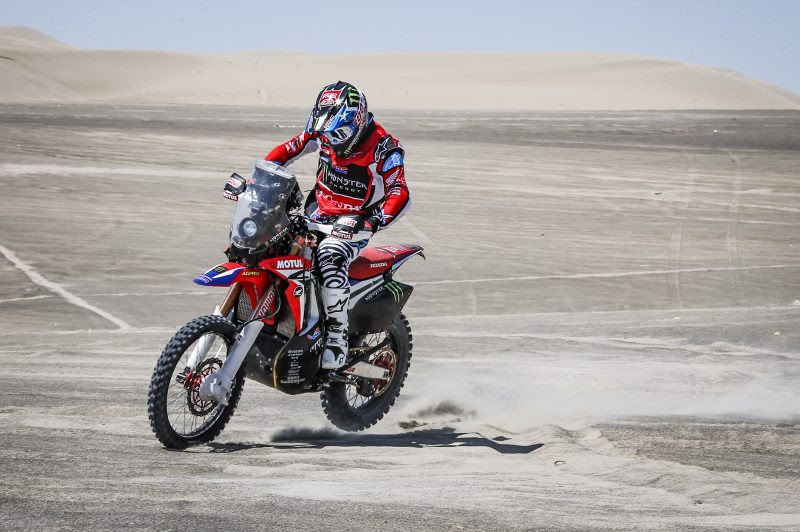 The other two Monster Energy Honda Team competitors, Ricky Brabec and José Ignacio Cornejo, hold seventh and ninth overall places respectively. The Morocco Rally kicks off on October 4th in Fez, after the mandatory administrative and technical shakedown is cleared. A ten-kilometre prologue will dictate the starting order for the following day’s first full stage, will the racing concentrated most heavily in the Erg Chebbi region in the southeast of the country. 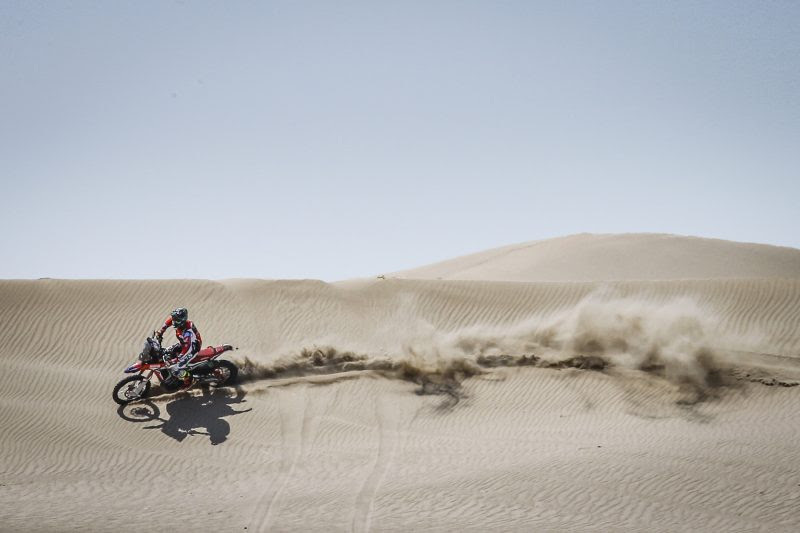 Morocco marks the watershed point in the as the racing season ends and the countdown to the Dakar Rally in January begins. 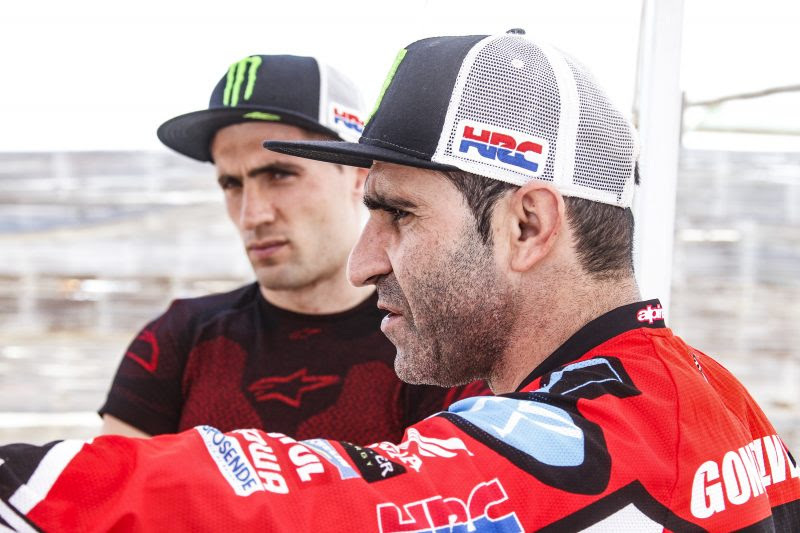 The Monster Energy Honda Team, after the victories in Chile, Argentina and Peru, are very highly-motivated and ready to tackle this final world championship event. We are looking forward to seeing how the team is after all the intense preparations that we have done in a completely different continent. 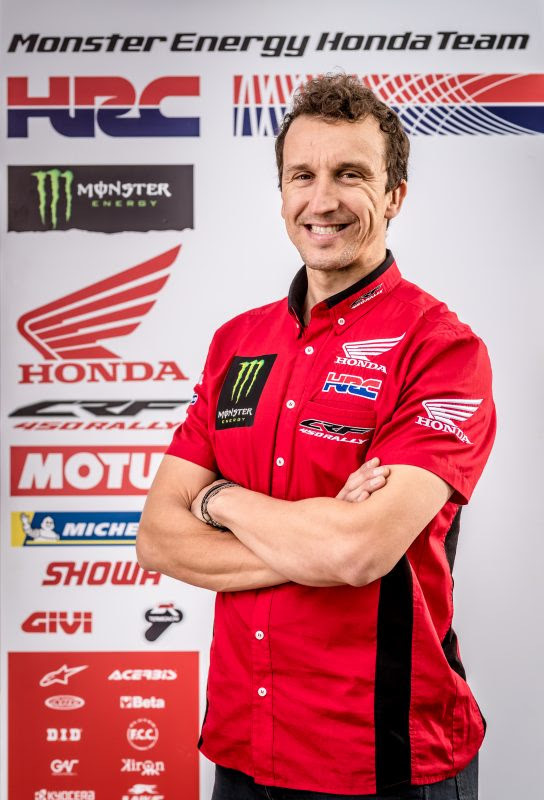 Everyone is in good physical shape and we are confident that they can complete one more test in a satisfactory way before a short break in the preparations for the 2019 Dakar.